I'm so chuffed. And I'm even more chuffed to be sharing the recipe with you here, for those that didn't see it in the paper or for those who live further away. 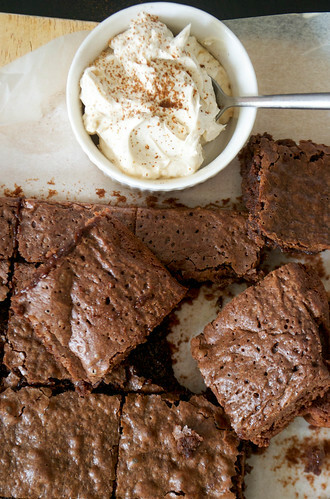 Espresso Chocolate Brownies... you would, wouldn't you? The brownies are based on a standard, fudgy brownie recipe, but I've added some espresso powder to give it a richer, coffee flavour and served them - still warm - with a mascarpone cream which has vanilla bean paste and Tia Maria stirred into it, with a dusting of espresso powder on the top. 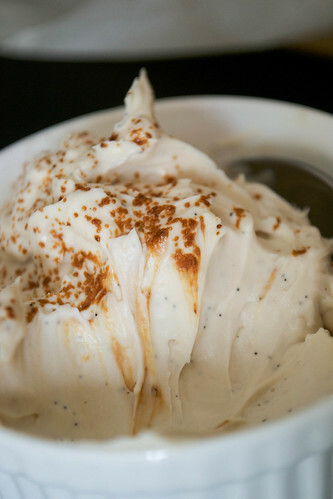 Think of the cream taking the place of the ice cream in classic 'brownies and vanilla ice cream'. Except it's a bit more boozy and grown up. 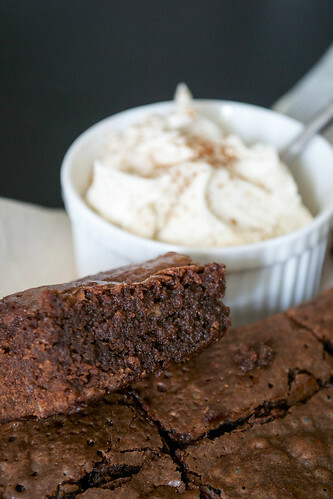 This has to be my favourite brownie recipe EVER. I really hope you like it. To make the brownie, first preheat the oven to gas mark 4/180ºC/350ºF and line a 23cm x 23cm baking tin with greaseproof paper. Next, gently melt the butter and chocolate together in a saucepan, stirring all the time. Turn off the heat and allow to cool slightly. Meanwhile, crack the eggs into a mixing bowl and add the sugar. Whisk well. Pour the chocolate mixture into the eggs, stirring all the time, and then sift in the flour, baking powder and espresso powder and add the vanilla extract. Give everything a good stir. Scrape the brownie mixture into the tin and bake for 25-30 minutes. The brownies should be firm to the touch, but still moist in the centre. Allow to cool. To make the Coffee Mascarpone Cream, tip the mascarpone out into a bowl and add the vanilla bean paste and a few drops of Tia Maria liqueur. Stir to combine. 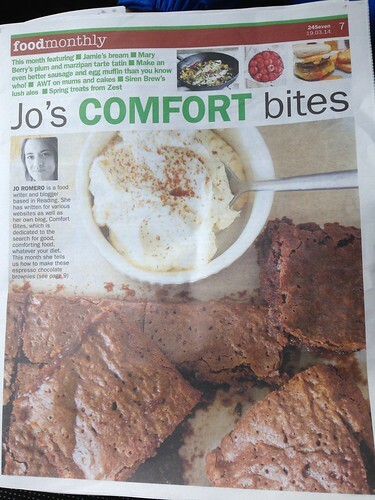 When cooled - but so the brownies are still just warm - serve, with the coffee mascarpone cream alongside. WoW really nice recipe instead of the Maria liqueur I used Amaretto and to replace to coffee powder two small cup of real espresso delicious !